Lucapa and its partners commenced alluvial diamond mining operations at Lulo in January 2015, with mining company Sociedade Mineira Do Lulo (SML) (Lucapa 40% owner and operator) formally incorporated in May 2016. To date, Lulo has achieved gross revenues of ~US$141 million at an average sale price of approximately US$2,000 per carat. This has established Lulo as the world’s highest US$ per carat alluvial diamond mine. Lulo is a prolific producer of large and premium value diamonds, including more than 800 Specials (large diamonds weighing more than 10.8 carats). These Specials include 12 +100 carat stones, including Angola’s two largest recorded diamonds weighing 404 carats (named the 4th February Stone) and 227 carats. Lulo is also a source of high-value coloured diamonds, with production including a 46 carat pink and a 43 carat yellow. The 1.1 Mtpa Lulo diamond plant includes XRT large-diamond recovery technology capable of recovering individual diamonds of up to 1,100 carats. Alluvial mining and exploration activities at Lulo are focused on a ~50km stretch of the Cacuilo River running through the ~3,000km2 concession, much of which remains untested. In late 2018, the Lulo partners discovered a new alluvial source of diamonds in the flood plains along the Cacuilo River, with Specials of up to 55 carats recovered from the first of these areas tested. These encouraging results highlight the potential to open additional and expansive new mining areas at Lulo. 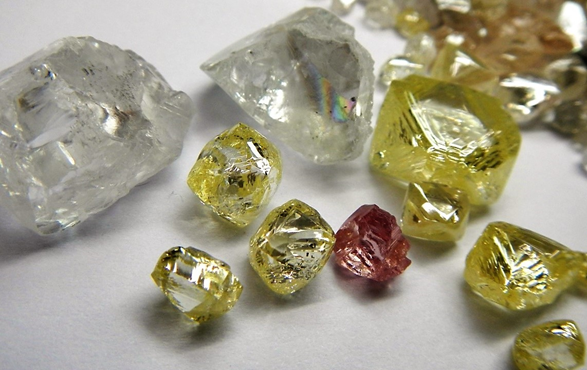 In March 2019, Lucapa announced un updated JORC classified inferred alluvial diamond resource for Lulo which included a 90% increase in in-situ resource carats, equivalent to more than four times SML’s 2018 production.